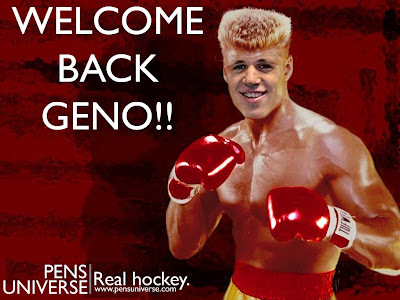 For those who are going to the Pens home game tomorrow against the Bruins, please join PENS UNIVERSE in welcoming back Geno to the line-up. Print one of these out and bring it to the game to show Geno your support. Heck print two and give it to a friend or neighboring fan. If you have no access to a printer, look out for Nicole and Sam Tracey, they'll be there passing a few out. Abort if for some odd reason Geno doesn't play. 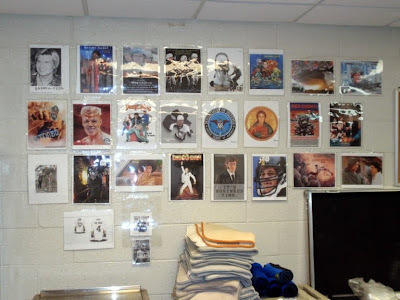 For those not familiar with this photoshop, I did it last year during the playoffs (here) and it just so happened to end up on the wall in the Pens locker room at Joe Louis Arena for game 7...among other great photoshops.